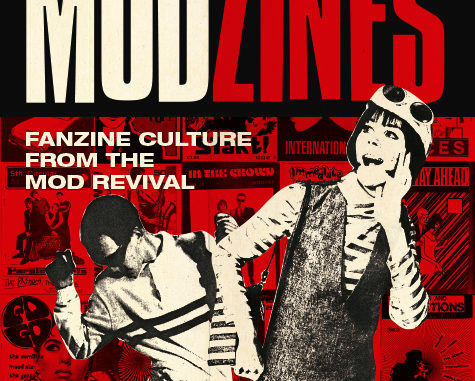 Modzines by Eddie Piller and Steve Rowland is a book about fanzine culture from the Mod Revival and beyond. A thoroughly well researched book on Mod fanzines and one which visually attractive, it is available to buy on 7th February 2019. I recently caught up with Ed and Steve and had a chat with them regarding the researching, compiling and publishing of Modzines. Here is that enjoyable and informative chat. Tell us a little about your backgrounds relating to Mod Subculture, throughout the decades. Eddie Piller: Well, where to start? I’m not sure I can get it all down. Suffice to say that I became a Mod in late 1978 and became a devoted gig goer as a teenager. I saw The Jam 53 times! I also used to follow various Mod Revival bands and started managing Mod bands in 1981 as well as djing the same year – Set up my first Mod record label in 1982 (Well Suspect) and also edited the largest selling Mod fanzine, Extraordinary Sensations (along with Terry Rawlings). My mum ran the Small Faces fan club and I am on the front cover of the LP There Are But Four Small Faces, which came out in America, wrote an 8 part series on youth culture for ITV, documentary on Mods for Radio 4 and most recently wrote a documentary on Quadrophenia for Sky Arts (out in April), was Paul Weller’s tour DJ for many years…erm…loads more but life’s too short!!! Steve Rowland: The Mod revival hit at just the right time for a 12 year old me.. older kids on our street were into The Jam and hanging out I got to listen and look at the records, especially All Mod Cons with its iconic inner sleeve, parkas and scooters started to appear and of course when Quadrophenia came out the whole thing blew up across the country. To a young kid into music this was massive with new bands like The Chords, Purple Hearts, Secret Affair coming thru Punk felt ancient and Mod became our scene and no longer something the older kids had. First gig I went to was The Gents in a village hall in 79 and from that point I was hooked on gigs and music subcultures in general. Its always been there at some level whether music, clothes or attitude, coming full circle with this book, promoting gigs and clubs, designing record sleeves, a radio show, working with the Modcast and related projects in the pipeline.